First and foremost, it’s important to make sure that your parents are safe and happy. If one of them is living alone then it’s crucial to ensure that they have people they spend time with, that they’re okay going out to buy their groceries alone, that they aren’t suffering from a great deal of loneliness. For a long time, many elderly people are able to live independent lives, particularly with a little extra help from friends, family members and helpful neighbours. But it’s important for you to keep your eyes open so that if a time arises when it’s no longer safe for your elderly parents to live alone, you can make some changes. That doesn’t necessitate a retirement home immediately, of course. There are plenty of retirement communities that provide a sort of halfway place between living completely independently and living in a home. But at some point, a home may become a necessity - and you should make sure that you don’t feel guilty about this. A lot of care homes are unfairly demonized - many of them are fun and sociable places where elderly people can meet and make friends and live in a safe environment where they don’t have to worry about taking care of their homes. You should spend a while going to visit and comparing nursing homes to find the one that’s the best fit for you. Make sure that your elderly parents receive all the medical attention that they need. They might occasionally need a ride to the doctor’s surgery - which in turn might necessitate you explaining to your boss that your parents require more care now so you need to work on a more flexible basis. It may seem as though once your kids become independent, your parents become less so - but that’s one of the difficulties of the current generation and something that a lot of people are dealing with. 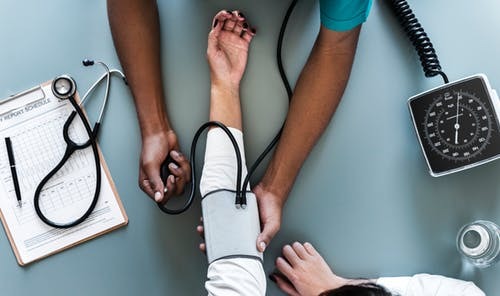 Going to medical appointments with them is a good idea - being aware of what’s going on is very useful in case they aren’t very good at taking notes or at remembering what’s been said to them during the appointments. You should also make sure that they take care of themselves by exercising and eating well. It’s important to remember to keep in touch with your parents as they age. If they live nearby then it’s a good idea to pop in there on your way home from work. This can be to socialise - no matter how old your parents are, they’ll love to see you and spoil you a little after a hard day at work. Asking your mom for a cup of tea or a glass of lemonade will be something that she will be able to accomplish easily and will enable her to keep her parenting role. If you notice that your parents’ place is getting a little more untidy then you could always suggest hiring a cleaner to take the burden of cleaning off them. It’s a good idea to keep an eye open for anything that they aren’t managing as easily as they used to, and checking in regularly is the best way to do that, whether it’s in person or on the phone if you live a little further away. It’s important to remember that even as people get older, they don’t stop being interested in things. No matter how old your parents are, you can still do things like take them to seated music concerts and to the theatre, and you can buy them books, CDs and movies that you think they might like, along with magazines and newspapers to help keep them informed about the world. Not only will this help them to enjoy their lives and strengthen your relationship with them, but it will also help them to keep mentally sharp for longer. Using your brain keeps it working well. One of the hardest things about dealing with elderly parents is actually sometimes dealing with other family members. Your siblings might have very different ideas about the care that your parents should have, and you may all take on different amounts of work, which can sometimes lead to resentment and arguments. It’s important to take a deep breath and step back when you can - arguments are very rarely productive. Ensure that you all prioritise your parents as much as you can. Finally, it’s important for you to try to come to terms with the changes in your relationship with your parents. It can be upsetting to think about how things have changed - your dad’s wide shoulders becoming less broad, and your mom becoming a little more stooped and uncertain - but it’s important to do your best to enjoy the relationship that you have with them, no matter what it is. Your parents will always want to look after you so allow them to do that in whatever ways that they can instead of completely taking over, and remember that even if they develop an illness like dementia or Alzheimer’s, that doesn’t mean an end to the person that they are immediately - you may still have plenty of great years to spend with them.